The weather has changed – and not for the better. What happened? GLOBAL WARMING, I BLAME YOU! Why must this happen? It was 30 degrees last week and now it feels about -100000 degrees. And why does my school insist on putting the air conditioning on like its the bloody arctic? I. Just. Don’t. Get. It. Am I the only one who feels like an old Italian grandmother doing this? Cut up the potatoes into small chunks then boil in salted water until soft (about 15 minutes). Wait for it to cool then mash it until completely smooth. Season with a fair amount of salt and pepper. Add egg yolk and combine. Add the flour gradually and once it combines, take it out onto floured parchment paper. Knead until smooths and rolls into about 1cm logs and cut into 1 inch pieces. To get the gnocchi ‘shape’ push ball of gnocchi onto a fork and roll off it, you will see the lines, which will trap the sauce better. 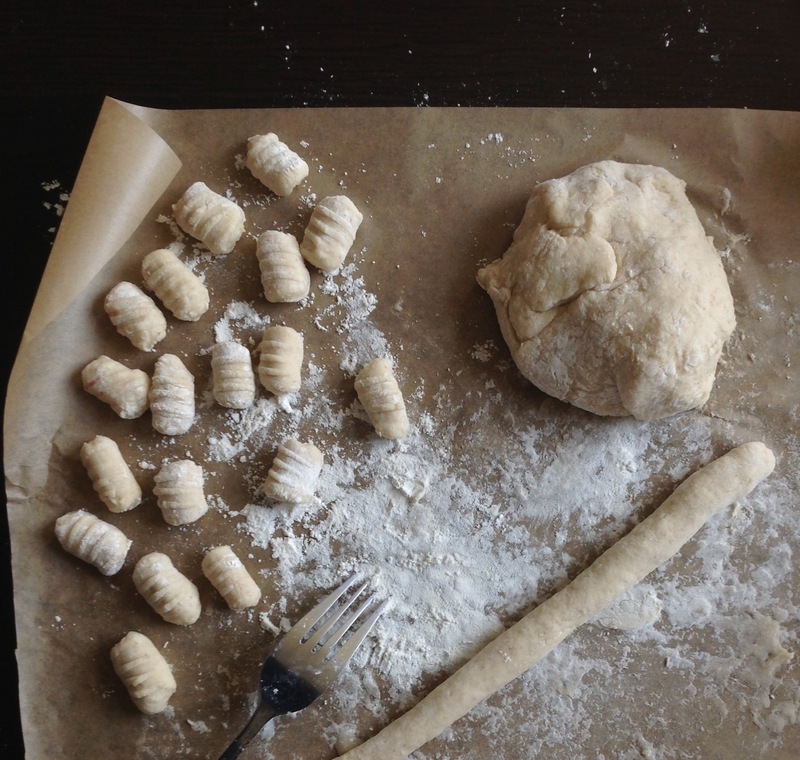 Boil water and add a few gnocchi at a time (don’t overcrowd the pan)! You’ll know when it’s done, because they will float to the top. Serve immediately with truffle butter and Parmesan for a naughty treat or with some rustic tomato sauce. That really is easy! 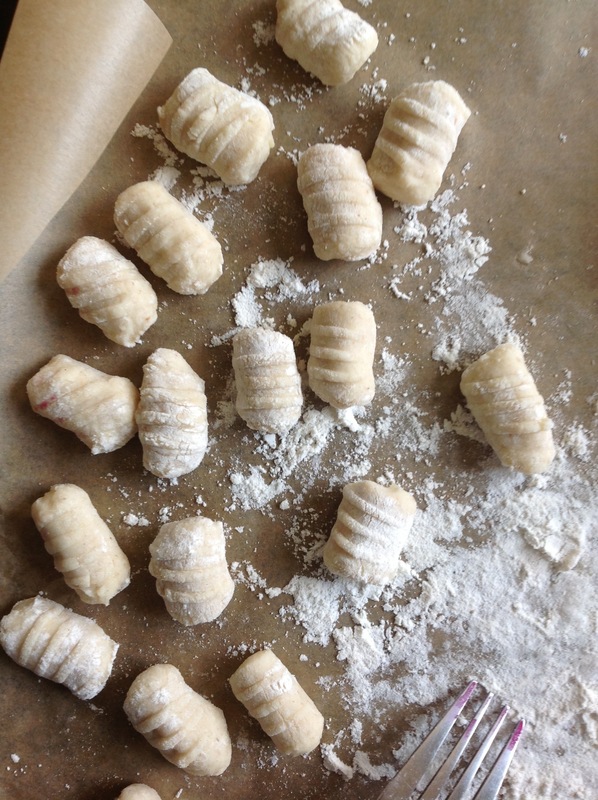 For some reason I figured gnocchi was super hard to make..Awesome! !